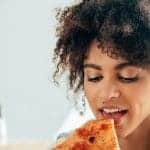 Intuitive Eating and Mindful Eating: What’s The Difference? 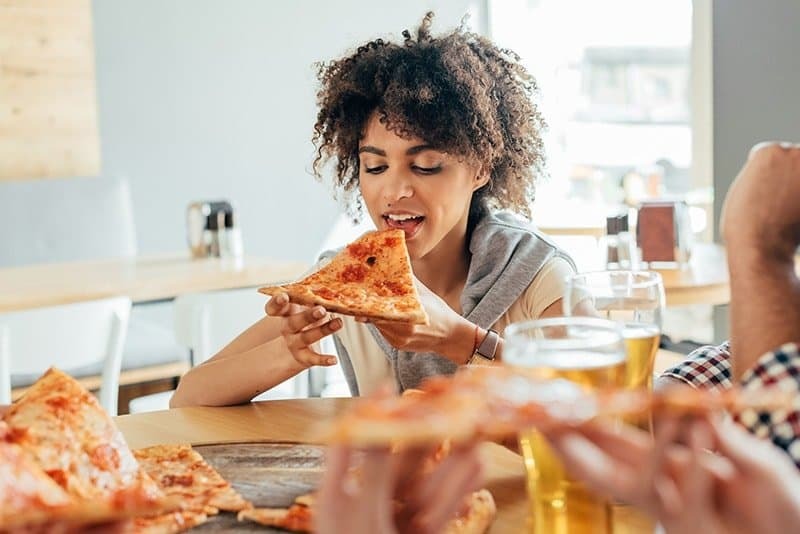 Intuitive Eating and Mindful Eating are often used interchangeably but are they actually the same thing? Well, kind of…but not really. Let me explain. I talk about Mindful Eating in more detail here. Essentially it is about focusing our attention, on purpose, on the act of eating. It involves eating with awareness of all of our senses- our sight, sound, touch, taste and smell. And it involves eating without judgement. Intuitive Eating, on the other hand, is the term coined by Evelyn Tribole and Elyse Resch in 1995 when they published the first edition of their book Intuitive Eating (aff link). Yep, this ain’t no fad diet or flash in the pan way of eating! Intuitive Eating has been around for over 20 years. Just from that paragraph alone, you can see that Intuitive Eating is about much more than slowing down and paying attention without judgement when we eat. You could also think about Intuitive Eating as being a broader philosophy or way of leading your life. And Mindful Eating is a skill you develop as part of that process. Mindful Eating plays a part in one form or another in Principles 2, 3, 4, 5 and 6. So, while it is easy to see how the two can be confused, there is a difference between Intuitive Eating and Mindful Eating. But they complement each other beautifully. And both are wonderful things to embrace as part of your ‘health and wellness toolkit’. 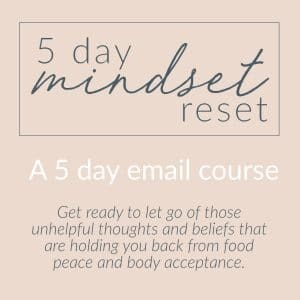 Got a question about intuitive eating and mindful eating? Ask it below. Join now to gain instant access and learn more about four of the most common types of hunger we experience as humans. Great post! They work together, but are definitely different concepts. I think it was a great idea to explain the difference. Such an important post with a timely need! I just explained the difference for a women’s running article, too! High fives for spreading the message! 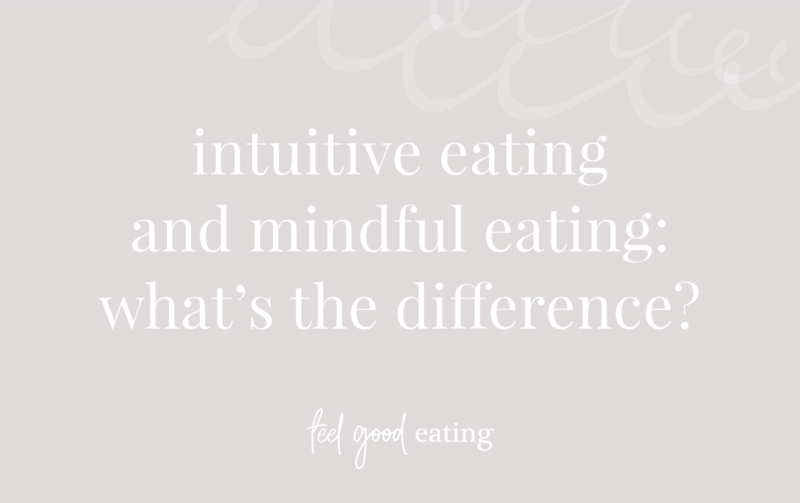 Mindful Eating & Intuitive Eating What’s The Difference?